Poland and Italy's right-wing rulers are to cement their "special relations" at a meeting in Warsaw, in what could make a new anti-EU league a major force in the next European Parliament (EP). The meeting, between Polish ruling party chief, Jaroslaw Kaczynski, and Italian interior minister and deputy prime minister Matteo Salvini, on Wednesday (9 January) is to discuss Poland's membership in Salvini's new EP group, according to Italian daily La Repubblica. 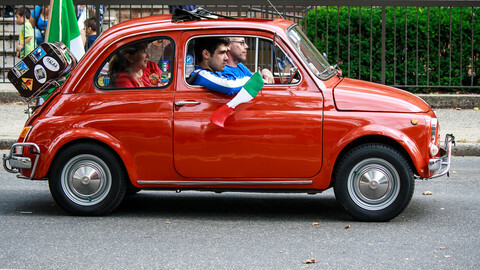 "It's a meeting at the highest level. 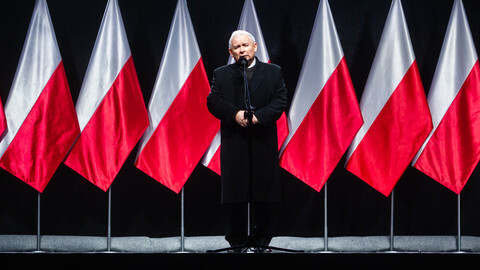 If [party] president Kaczynski meets another politician, it's a sign of a certain special relationship, which is how we're treating it," Polish foreign minister Jacek Czaputowicz also told Polish radio station RMF on Saturday. "We have to discuss matters related to the European Parliament," Czaputowicz added. Jacek Sasin, an MP from Kaczynski's ruling Law and Justice (PiS) party, said it was "uncertain" whether the meeting would "deliver a certain objective, an agreement". But Salvini and Kaczynski would "exchange ideas ... on how the European Union should function", he said. "There are definitely different points of view between us and Mr Matteo Salvini ... but that doesn't mean we don't have some ideas in common on how the [European] project should be modified," he added. 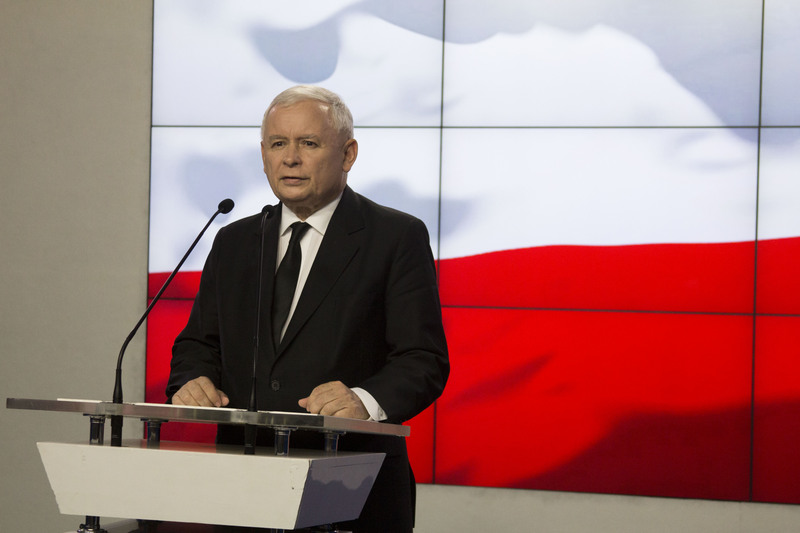 Kaczynski's party currently sits in the right-wing European Conservatives and Reformists (ECR) group, which has 73 deputies. But the ECR is likely to collapse when its British Conservative party members leave after Brexit, leaving PiS homeless in Brussels. The main group, the centre-right European People's Party (EPP), already has a Kaczynski-type member, Hungary's nationalist leader Viktor Orban, whom it has kept in its club to try to contain him. But the EPP is also home to Poland's main opposition party, the Civic Platform, ruling out PiS membership. That leaves the new Salvini-led group as an option, whether to gain power in the EP, or to gain leverage in Warsaw's fight against EU sanctions on PiS' abuse of rule of law at home. "The message [of Wednesday's meeting] is: The Polish government is shifting its position to the anti-European fringe," Slawomir Nitras, a Civic Platform MP, said. "It [the Polish government] is not just sceptical [of the EU], it's joining up with forces who are thinking of how to dismantle the European Union," he added. "If he [Salvini] ... persuades Law and Justice to join, it will be one of the largest groups in the next European Parliament," Kazimierz Marcinkiewicz, a former Polish prime minister who left PiS, also said. 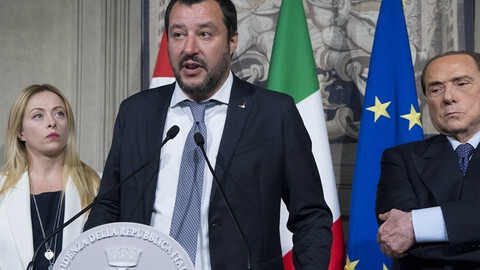 Salvini has already convinced French and Dutch far-right parties, the National Rally (formerly known as National Front) and the Party for Freedom, to join. If PiS, as well as Austria's far-right Freedom Party, come on board, it could get 140 MEPs or so, making it the third largest in the EP. If Salvini becomes Italian prime minister, as many expect due to his party's surge in polls, and if PiS wins Polish elections this year, then the new group would also have two leaders from the G6, or group of six largest EU states. 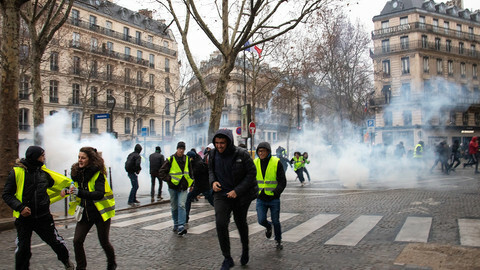 Wednesday's meeting came about after Poland's interior minister, Joachim Brudzinski, invited Salvini to Warsaw at last October's meeting of G6 interior ministers in Lyon, France. Kaczynski and Salvini share an antipathy to Muslim migrants and do not like what they see as EU meddling in their domestic politics. 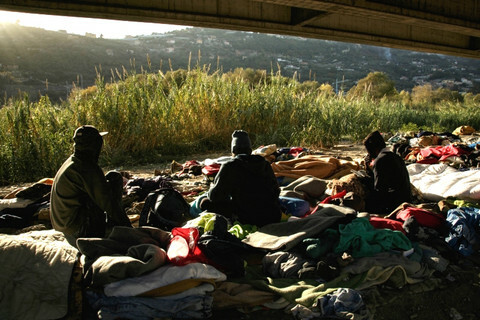 They are divided on what to do about migrants and on Russia. Poland has boycotted EU quotas on migrant sharing, while Salvini wants EU solidarity. 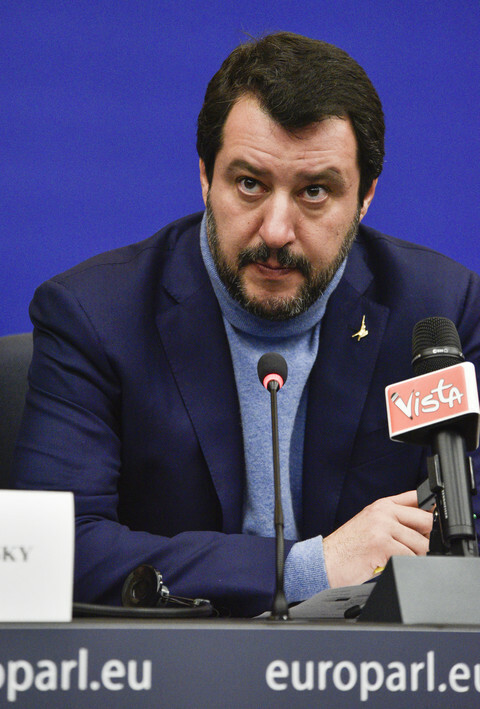 Poland also has a deep distrust of Russia and of Russian president Vladimir Putin, while Salvini is a self-avowed Putin fan, who has posed wearing a T-shirt of the Russian autocrat on his visits to the Kremlin. But those divisions are not big enough to stand in the way of a joint group, Brudzinski, who is Kaczynski's right-hand man, said. Poland and Italy are both on Europe's external borders and "have many economic, cultural, and social issues in common," Brudzinski said on Twitter. 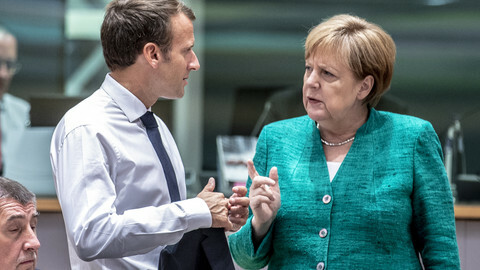 It was "clear stupidity" to criticise Salvini's links with Putin when other EU leaders had also met the Russian president, Brudzinski added. PiS should not be labelled as "eurosceptic" because, in fact, it wanted to stay in the EU, Sasin, the PiS MP also said. 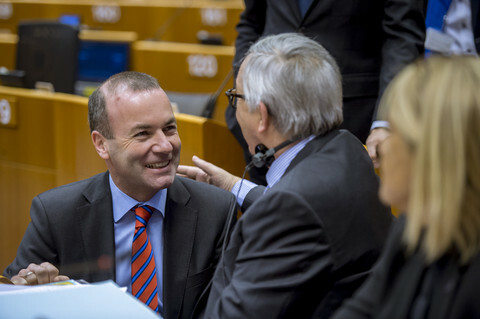 "Eurosceptics are opponents of this [European] project, and we are just the opposite," he said. But for his part, Czaputowicz, the Polish foreign minister, did little to support Sasin's claim in his RMF interview. EU institutions had ganged up to "hurt Polish authorities as much as possible," he told Polish radio on Saturday, referring to the EU sanctions procedure. "The European commonwealth is functioning badly ... the EU can't conduct actions which don't have public acceptance," he added, on the rise of anti-EU populism. Those remarks were mild by comparison with the eurosceptic rhetoric of the Polish president, PiS ally Andrzej Duda. The EU was an "imaginary community from which we don't gain much", Duda said at a rally in October. Just because Poland was an EU member "doesn't mean we should repeat the mistakes of the West and become infected with social diseases that dominate there," Kaczynski himself said in September, alluding to EU values such as multiculturalism and LGBTI rights, opposition to which brings together Europe's far right. 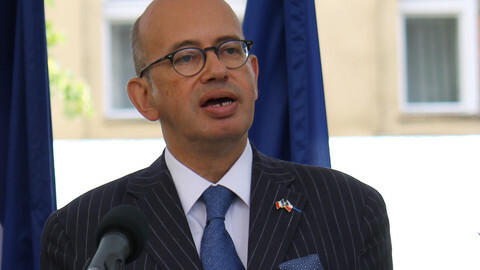 France's ambassador to Poland has said he was "shocked" by the Polish foreign minister's remarks that France had become the "sick man of Europe".